Good lighting is the key to successful quilting! I am hoping to sell enough light panels that I can send one to you Sharon…if not I will surprise you with something else that you will like!!! I really need one of these as my eyes are not as good as they used to be!!! Well this would be extremely useful for my nighttime applique work. Hmmmm…Santa??? What a beauty! I love the sleek design and the fact that it can attach to the table. Granted it is pricey, but I’m of the opinion that you get what you pay for. These lights look very useful. 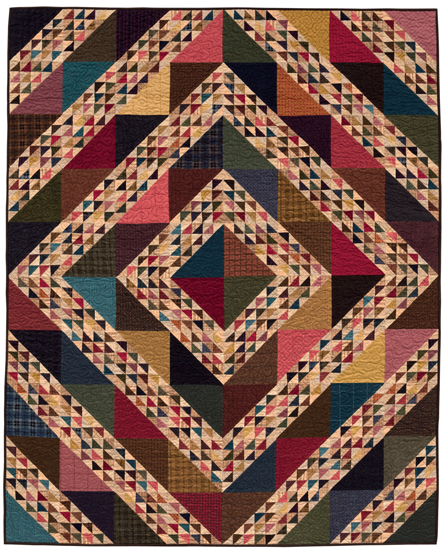 Would be good for hand quilting. This looks fantastic to use in the evenings when I do cross stitch. Santa?? Stella would certainly add stitching hours to these tired old eyes. Stella would make stitching on black much easier…and perfect for all of the embroidery and wool work I love to do in the evenings. My sewing room is at basement level so I continually have a problem trying to create a daylight environment. Even with a top of the line light there are still those basement type shadows that make it difficult to focus on applique or working with dark fabrics. I think the Stella light might be something worth saving my pennies for. This seems to be an exceptional product, but, as you say, pricey. Hey, it’s snowing on the webpage!. Love it! Maybe I could put a bug in my children’s and grandchildren’s ears regarding a gift for next Christmas. Thanks for showing us another wonderful product. Wow! That’s going on my list to Santa. I’m been very good and my eyes coukd use a gift like that. Thanks for sharing so many great ideas. Oh my. this looks so good…now how do I ask Santa for a light!?! The whole idea of the Stella in 3 light settings is fantastic. Us quilters are spoiled! Fabrics, wools and threads do play differently in different light settings. Happy holidays! These lights look fantastic. The clamp on model would be perfect for my sewing table. Thanks for introducing them to us. I splurged on a Stella as soon as I saw it and have never looked back! I love this bright light! 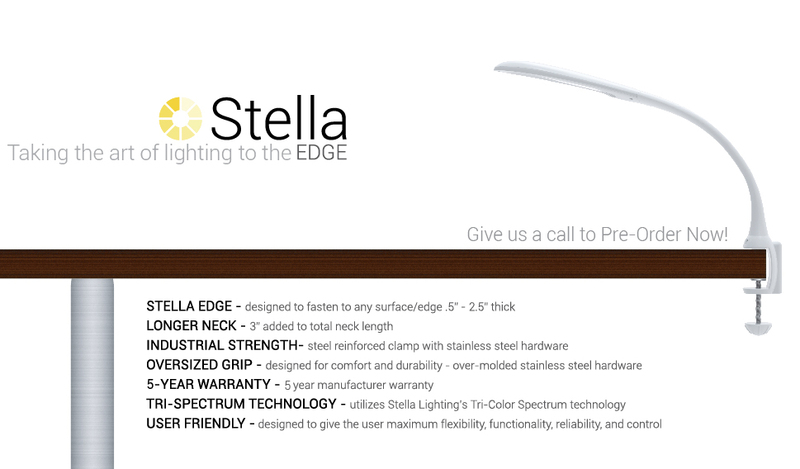 Stella-another gadget I have not seen but certainly would/should help we seniors to see our work a little better. I can see how helpful it would be for appliqueing, cross stitch, taking out mistakes, etc. It seems like this would be great for my old eyes. It gets harder and harder to see the little stitches. These old eyes sure could use a boost! Love all your needful things! Wow, these would be great for night work especially with my old eyes. Great giveaway item! So beautiful and powerful. Thank you for the chance to win and the exposure to so many great items. My shopping cart overfloweth. One can’t ever have enough light! sleek design, how nice! Would love to own a stella light. Thanks for all your tips and giveaways. Would love one if the Stella lights. Loving your Christmas tools blogs too !! Merry Christmas!! Stella is very sleek looking. The 3 different lighting options is very nice. The Stella looks fantastic… The older I get, the better lighting I need! I’ve seen these lights in my LQS and they are great. I’ve got 6 OTT lights in my home at various work stations and I am starting to realize I need more light than they give as my eyes get older. Looks like a wonderful light. I certainly could use more in my studio. I have not seen these lights and need to look up the information. Again, you’ve brought up something new and apparently useful for quilters and crafters. Thank you. Saw these today at my LQS. Really liked it. Stella would provide much needed light in my world. With such short days, my lights are on more than they are off. I am learning so much with your “Needful Things”…..Thanks for sharing. I really need to take a trip to your store so I can see all of these items in person. My husband is always wondering what to get me. He should be reading the blog posts. Good lights make such a difference! Extra expense is worth it. Good lighting is a must when you join the over “50” crowd, and I’m still doing a ton of sewing so I NEED the light !!! WOW. I could really use one of these. The lighting in my house is solo bad! What a cool looking light. I have an OTT light that sits on the table that I bring to my quilt group for hand sewing. But I think I would like to sit with Stella instead. Stella looks wonderful. Thanks for sharing another “needful thing” I have never seen before. I love the streamlined look, fresh and clean lines. I’m tired of my Ott light too. Love the look, maybe Santa will bring me one…thanks for the giveaway….. Thanks so much for sharing this light, I need more light, I have so many projects to finish. Stella is more than welcome to come live at my house!! heehee Love the name!! Stella is so bright!! Stella is just glowing! Stella is a turn on! (I could do this ALL day!) Have a good one! I am constantly trying to improve my lighting when I sew. I will have to see if I have been good enough for Santa to bring it. Keeping my fingers crossed in TX. This looks like a great light. Right now the one attached to my sewing table is an old school type desk lamp that clamps on the edge w/just a regular light bulb in it. Light works but this Stella light would be SO much better. Maybe Santa will leave me enough $ that I can put towards buying one of these. Nice design and no bulb to replace! Thanks for introducing this wonderful light. I saw this light at a recent quilt show and they look great. Good lighting is an essential tool. These look so nice. So sleek and simple looking .love it! I’ve heard about this lighting—it looks great! I’d love to try this. As I get older, my eyes are really crying out for better lighting. Thanks again for introducing us to all of these wonderful products! I know what you mean about Ott! And, my sewing area is in the basement–not the best lighting system anyway!I guess this goes on my list along with the light box yesterday. I hope Santa is feeling generous. Those look great. And no bulb to replace? How cool is that?! I never heard about them! My husband is finishing the basement for my new sewing area….I will share your recommendation. Wouldn’t that be nice!!! This sounds like a great little light. The older I get the harder it is for me to see. I like the fact that they have one that clamps on to your work space. Love the idea of the clamp on model….and no bulb to replace, way to cool. This sounds like a great light – I am working still with a regular light bulb or sun when it is out boohoo. Maybe Santa will bring me a good light this year. Love the look of this lamp and it sounds like it has wonderful light as well. Thank you for the chance to win a Christmas surprise from primitive gatherings. I love your store. Good light is so important. Especially when you have trouble seeing. I have not seen these lights before. I thought I stayed current with what is new and happening. But obviously not!!!!! Thanks for the giveaway!!! This light would go great with my new bifocals that I get this Friday. Ha! I need all the help that I can get with these aging eyes. This light looks fabulous and I would love to have it. I love clamp on lights. Luv the look of the lamp. I am sure it would help this poor eyes see better. I’m hearing lots of really good things about Stella! And no bulbs to replace? What’s not to like about that! This light looks great! My eyesight isn’t as good as it used to be so this would be very helpful. I have an older Ott light that is not working for me anymore either. It is a small portable one that I use for my sewing, embroidery and jewelry bead weaving projects. As I get older I realize that good lighting is becoming even more important. The Stella light looks amazing! I like the idea of being able to pick different light settings. Thank you for sharing these wonderful needful things! I really need some better lighting. I will have to check into this. Thank you for some really great ideas of things I need in my sewing room. The Stellar light looks and sounds amazing. I can never have enough lighting in my sewing room. The Stella light would help solve that problem. Are you listening Santa? Lighting is essential in hand stitching…..I’m ready for a brighter light! This is going on my Christmas list!! Thanks for sharing! Hello Santa! I would love a bright light for these old eyes! I am impressed with the quality of this lamp and its sleek style is so modern and unique…I love it!! As I am getting older I notice I need good lighting to see. This light would help a lot. Looks like light. I’d never heard of them before, and the different light settings sounds ideal. Just what this old lady needs, good lighting. Merry Christmas everyone! Good lighting is always a must. I would love to have one of the Stella lights. I’m hoping to have many years to stitch since having several eye surgeries. Maybe Santa will bring me a gift this year! Very attractive design and nice that it has 3 settings…I know just the place for it! SOO wanting one of these…added to the list! Wow. 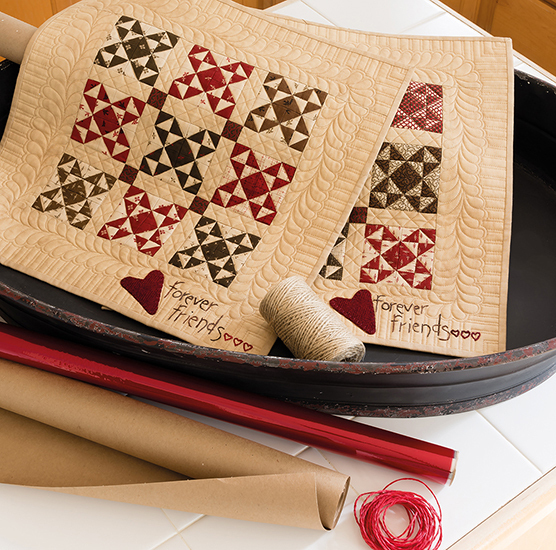 There is no end to the cool tools that are created to help us quilt. Thank-You for teaching about all the new options. I worked on a Christmas stocking today using the pattern from your Primitive Christmas book. I am making the one with the star on it. The stocking is turning out so awesome. I just love all your patterns. I haven’t seen this particular light before. It looks pretty slick! I was just asking hubby today to help me figure out how to use a light to see better in my upstairs sewing room (known my grand kids as Gramma’s Lab). The light on my featherweight actually gives my hand a sunburned look if I sew too long! This looks like it would totally fit the bill! Thanks Lisa, for bringing all these cool tools to our attention and giving us a chance to win one! Once again, something I have never heard of but looks amazing and functional. The light looks so modern, would make my sewing area look sleek . Lisa, you keeps us all up to date! I have seen these lights and they do look great. Would love to own one. What a great light! Love the multiple light setting options. Have not heard of this either, looks real sleek & modern & would awesome sitting next to my sewing machine, gotta see good to get all that stitching done!! This is something new to me. No light bulbs to change? Wow! Neat looking design. Good lighting is a must and something I need at night for sure. Thanks for introducing this product to me. Lisa, do you know if this is a good light for those of us that get migraines from Ott lights? I am always looking for a bright light that isn’t fluorescent or a strong LED. Stella…… I think I love the name as much as I love the light! Yes, it is an investment, but it appears to be well worth it! Thanks for sharing your wisdom and your ‘must- haves’ with all of us! I like Stella’s slim design and the fact you can change the setting, perfect. It seems the older I get the more light I need. Stella would be a very nice surprise to open on Christmas morning. I need to put a bug in Santa’s ear and maybe he’ll bring me one. Good lighting is a must when quilting or appliqueing. This will be going on my wish list. Looks like something from the Jetsons! I’ll put it on my “someday” list. I was hoping something new would come out in lighting and it did. The name is interesting. Wonder how it came about? No bulbs to replace… I have to look into this more! Thanks for telling us about it! I’m loving all your needful things posts! Ooooo, I’d love one of these lights! Correction, I NEED one because I’ve been young a very long time so my eyes need more light now when I’m being creative. What a cool and innovative light! I’m going to have to save up for one. I have never heard of this light so will definitely have to check it out! I have been to the Stella website and know they are great for “aging eyes” and basement sewing rooms … wish I could order one but alas, I did not win the MegaMillion lottery last night so I will have to wait for … my birthday? Can I send you my husband’s email and you can send HIM your needful things list?! I can’t believe I could actually win a Stella lamp. This would be fantastic. My eyes are not what they used to be. 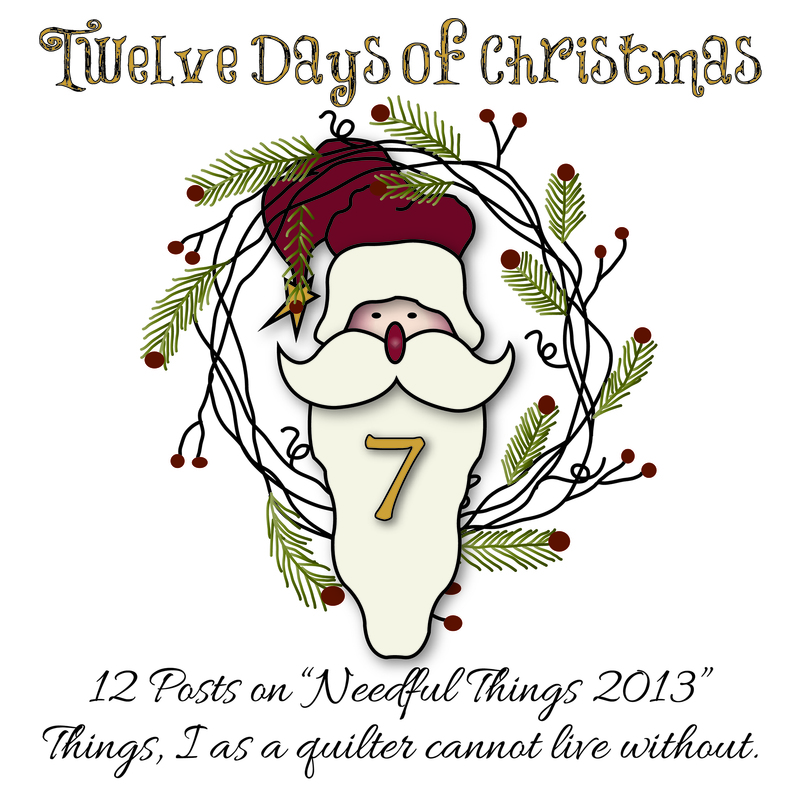 Thank you for posting the List of Needful Things again this year ! Lisa, I bought a Stella about a year ago after my Ott light was broken. It is truly the best light I have ever used. It’s so flexible and adjustable everyone in my family would love to have one. Thank you for featuring it! Wow! You always have the best products!! Would love to try a Stella light! Thanks again for another great item!! Wow the Stella light is amazing! The LED does not need to be changed, it has tri-spectrum lighting to see your colors as they actually are, you can move the neck all around where you need it, and it even comes in a box with a handle so you can take it with you!!! Thanks so much for introducing all these needful products to us! Wow, nice lighting! You’re really giving Santa some great ideas this year for gifts! I am always trying to get better lighting. It makes it so much easier on the eyes. Thanks Lisa! Looks like a wonderful light, it is hard to find great lighting, thanks for sharing. I was just complaining to my husband about my lack of light in the living room while trying to sew there. The Stella light is new to me. I will have to do some reading to find out more about this little beauty. You really grabbed my interest with this one. I have seen these lights at work at the suppliers fairs, they wonderful. 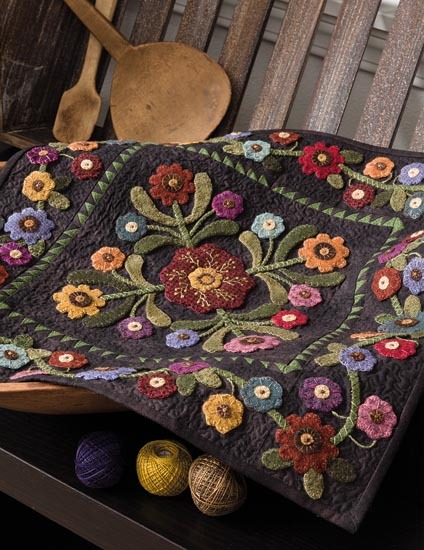 Thanks for making them available to the quilting community. Better lighting is always a good thing. That is a wonderful light. Might have let Santa know about it. I would love to find Stella under my tree this Christmas! I’ve recently been researching lights for my sewing table and my sewing room. I always enjoy learning about new products, and your posts have been great each day. Thanks very much. I have enjoyed reading your list daily. Stella looks very nice and sleek. Would be great for these long winter nights. This looks like a great lighting option – love that you can get a daylight feel rather than the cool light. Nothing better then good lighting as I get on in the years. I will have to give this a try. Thanks for all your advice. I need all the light I can get these days. Great product, thanks. These Stella lights would be great when working on any of your fabulous quilting designs! And THANKS SO MUCH for choosing me as a winner on the Light Panel post!!! I’ve sent you an email. WOWIE! this looks like a wonderful light, I’ve seen it advertised in magazines…glad to hear a testimonial from you…it is going on my wish list! This looks like the answer to my lighting issues! Looks like a great light. Thanks for “showing” these new products. Another awesome product. Hmmm, maybe I need one of those lights and my stitching will improve??? Lighting is so important and it is hard to get it just right. These lights look like they might do the trick. Thanks for these “12 days of Christmas” products. This lighting looks awesome. Can’t wait to get mine! Thank you for sharing all of this valuable information with us! I’ve been drooling over this light for some time now. I’ve never actually seen it in person (they don’t carry it in my town) and I know it’s pricey. Excellent information – Thanks! Oh how cool!!! I need to save up and get me one of these. I could sooo use this lamp! I sew in my dining room (who uses their table to eat off of any more? LOL) and no matter how high I turn up the dimmer, there are always shadows, especially when I’m trying to cut fabric. Love your blog! I use an Ott Light. Is there much of a difference in the quality of light? This new one is certainly much nicer looking . . . very sleek! My Ott light also doesn’t seem as bright. I would love to have a Stella. Santa, I’ve been VERY good this year! That is one sleek light. 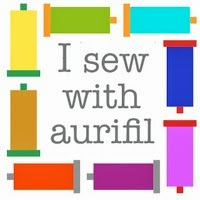 I have a floor standing daylight which is really for the Lounge Room but need it for machine quilting so I have to hand applique at my sewing machine…not as relaxing as it should be. This would be useful as I could move the elegant daylight to the formal room and relax doing hand work in comfort. What a neat looking light! I find as I get “older” good lighting is more and more important. Definitely a needful thing for quilters. After all, good lighting is critical. I am certainly hopeful for a Stella too! friendliness and visual appearance. I must say that you’ve done a very good job with this.